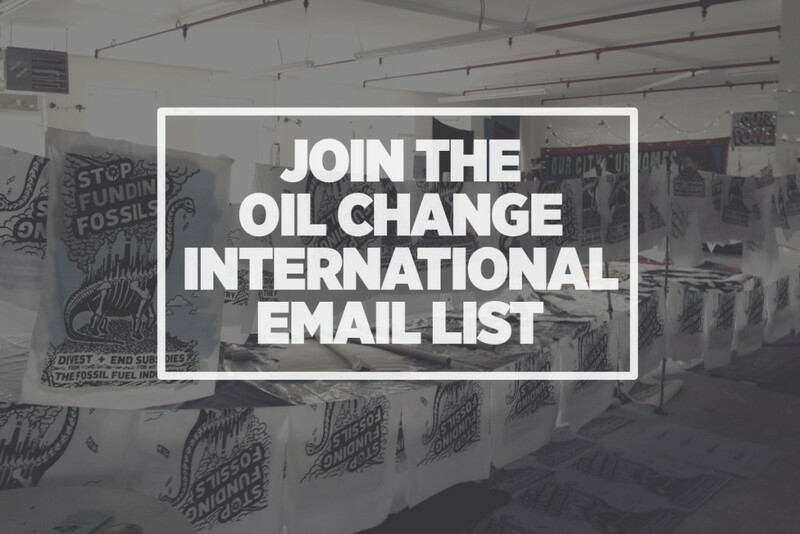 Join the Oil Change International email list to help us expose the true costs of fossil fuels and facilitate the coming transition towards clean energy. At Oil Change International, we're focused on exposing the true costs of fossil fuels and facilitating the coming transition towards clean energy through research, communication, and advocacy. We focus on the fossil fuel industry because we view the production and consumption of oil, gas, and coal as sources of global warming, human rights abuses, war, national security concerns, corporate globalization, and increased inequality. We also see the fossil fuel industry’s interests behind every major barrier to a clean energy transition. Join us to help bring about the just transition to a renewably powered future we all know we need.